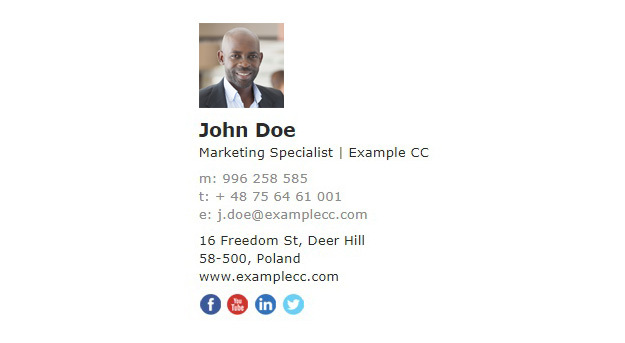 This email signature template is based on a user photo and contact details organized into one column. It can be freely used for professional email correspondence as well as for private communication after making some adjustments. To make some final touches, open this HTML template for editing by clicking the Edit signature button or if it suits your needs, download it now by clicking Download signature below.